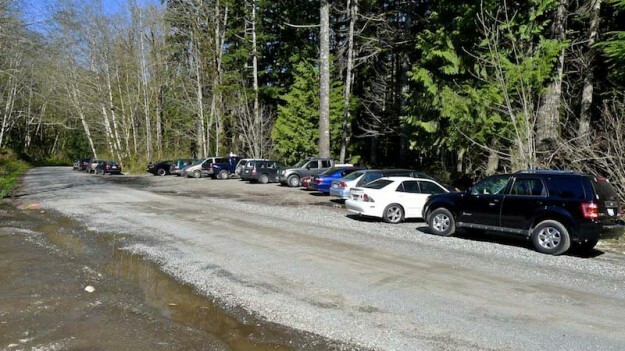 Update: In mid-August the DNR released the Notice of Final Determination for the Teneriffe parking lot project. 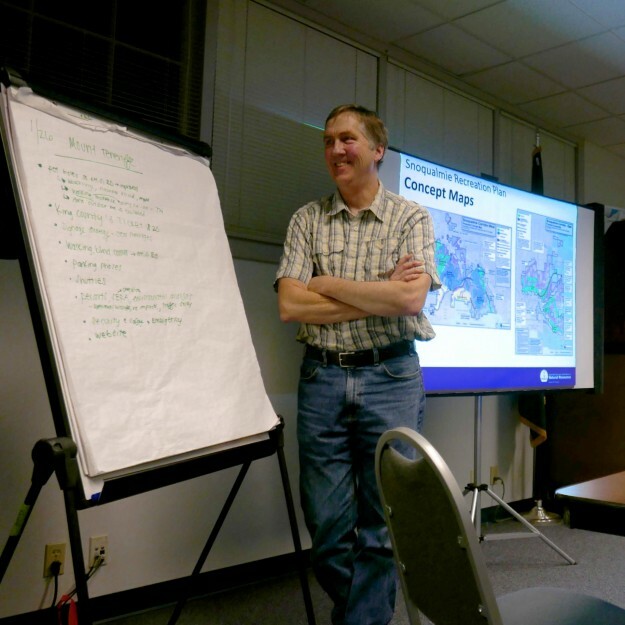 Comments were generally positive but with concerns similar to those that came up in the public forums. 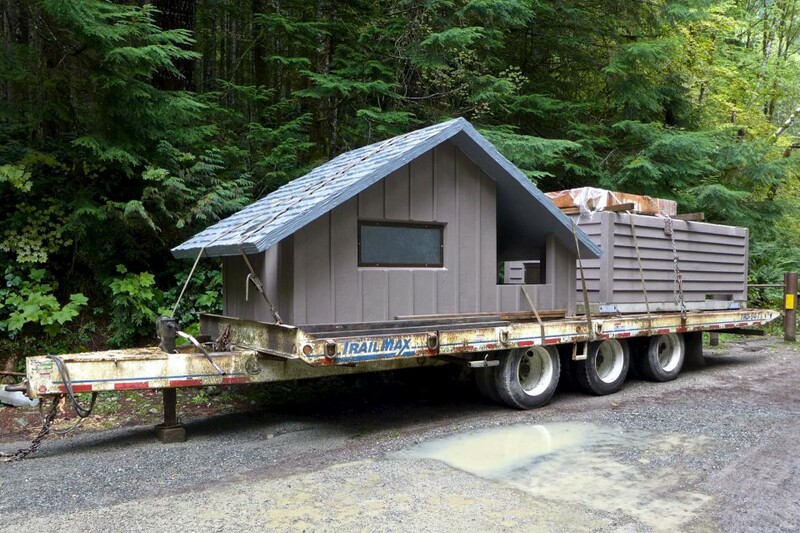 This entry was posted in North Bend, Si and tagged DNR, parking, peakSi, peakTeneriffe, trailhead on 2016/07/08 by mvanderbilt. 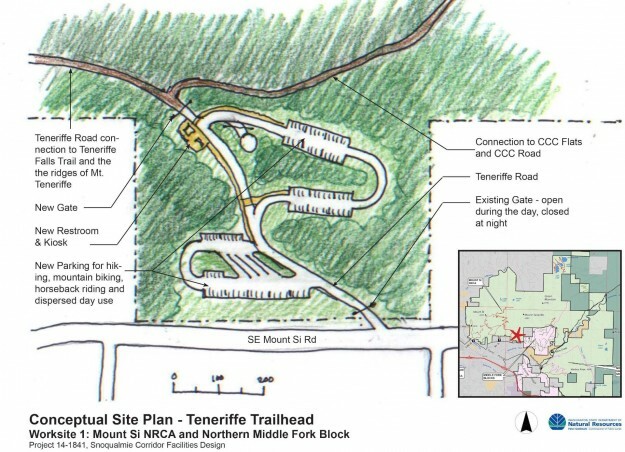 On January 26, 2016 the local DNR staff hosted a neighborhood forum to discuss early stage plans for a new trailhead at the base of Mount Teneriffe. 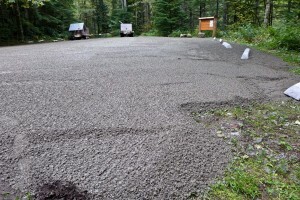 The DNR had previously met with selected neighbors and scheduled a previous forum that was lightly attended because a strong windstorm hit the area that day. 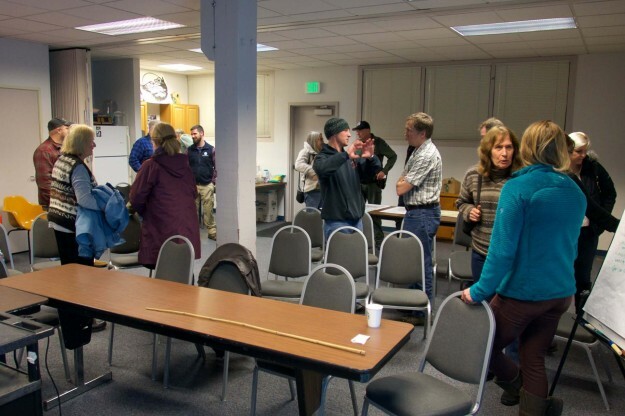 This event drew about 40 people, the higher attendance probably due to an article about the meeting in a local newspaper. 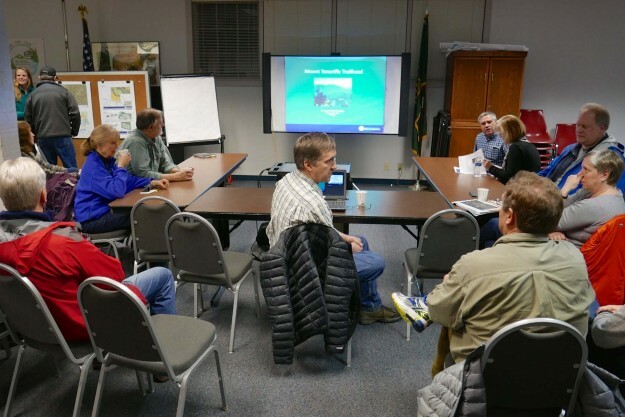 After a brief overview, Doug McClelland of the local DNR office fielded questions and concerns from the audience for over an hour and half. 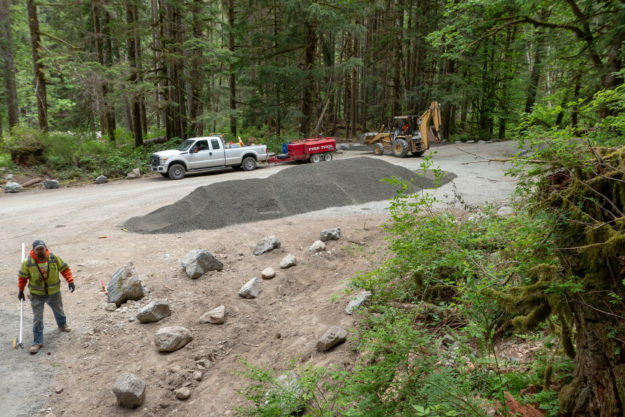 Doug emphasized that the DNR is not trying to draw more recreation related traffic up the narrow SE Mount Si Road, rather it is trying to solve a problem of inadequate parking at the school bus turn-around as the Mount Teneriffe trails become more popular. 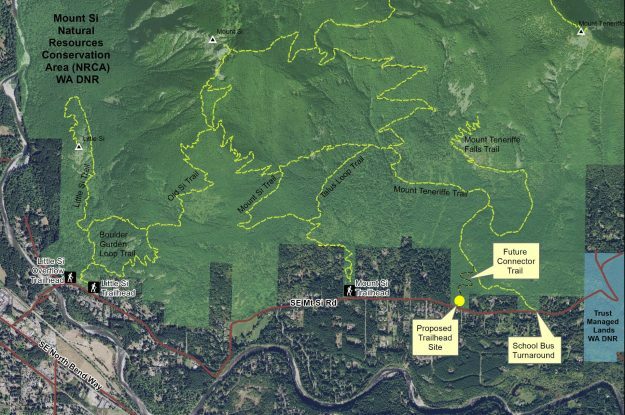 This Mount Si NRCA project is only one part of a comprehensive Snoqualmie Corridor Recreation Plan including DNR lands on Tiger Mountain, the Raging River valley, Rattlesnake Mountain, and the Middle Fork Snoqualmie NRCA. 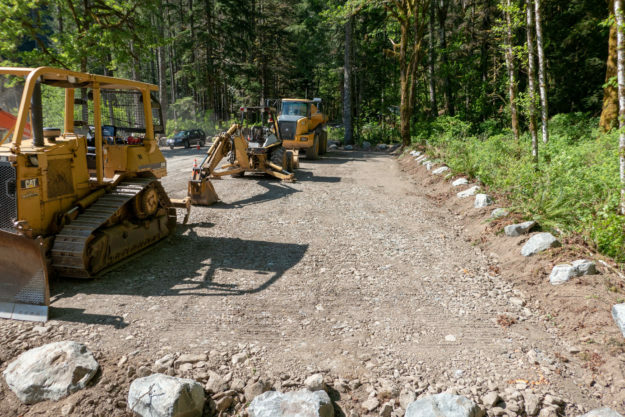 Most of the trailheads being developed are close to I-90 and do not involve hikers walking or driving through a residential area. 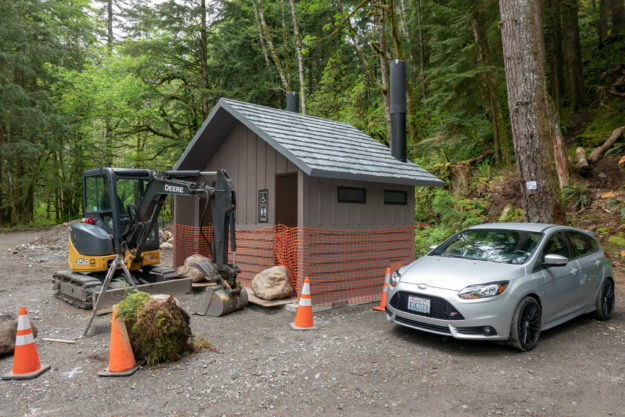 That makes this trailhead particularly sensitive and neighbors from the affected area were not shy to voice their concerns. 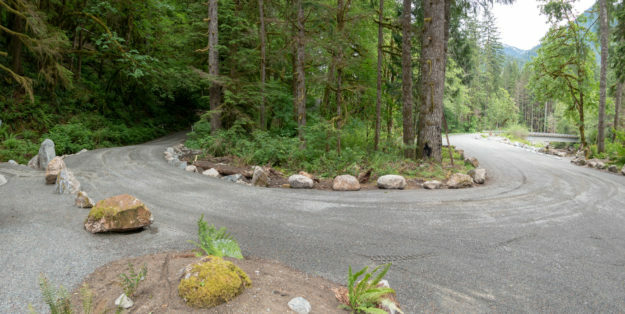 Parking and traffic on SE Mt Si Road and in nearby neighborhoods. 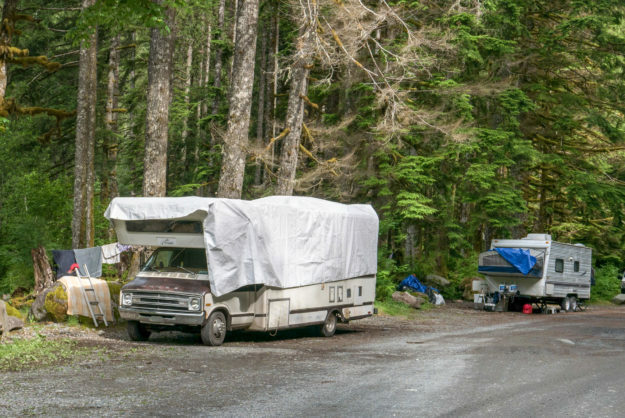 A few spots along the road are legal to park on, but parking in areas where it’s prohibited only incurs a $20 ticket which most felt is not enough of a deterrent. 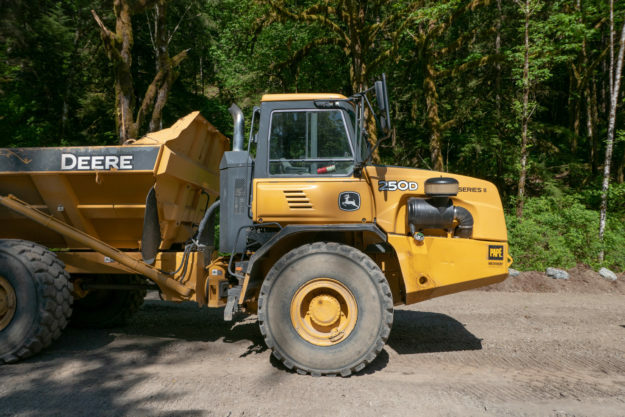 Increased traffic on a service level 4 road that receives only minimal maintenance. 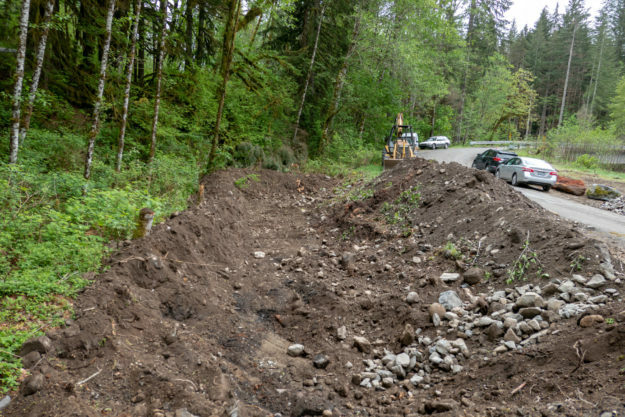 Most of these issues must ultimately be addressed by King County, but integrated planning by all parties and a coordinated request will probably yield the best results. 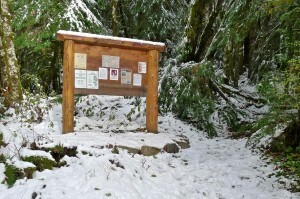 Concerns about visitors trespassing on private property and inappropriate behavior. One resident found visitors having a picnic on her lawn. 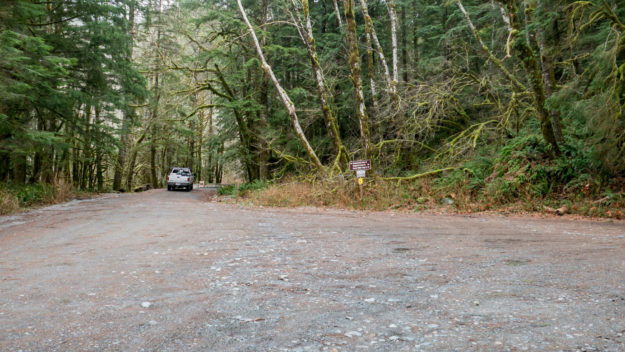 Some hikers feel free to change clothes in the middle of the street. 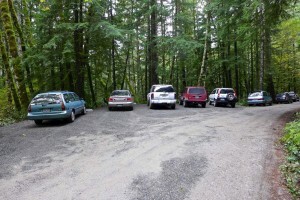 Ungated parking lots invite activities unrelated to hiking, including some users frequently staying overnight. 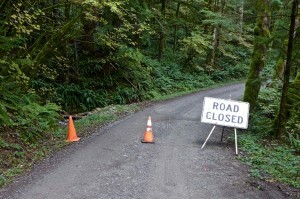 Concerns about levels of police patrols and enforcement. 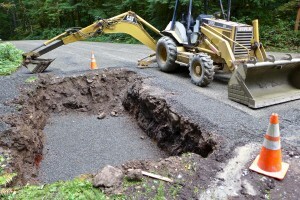 This is another issue that extends well beyond the DNR, but should be addressed as part of the plan. Continuing the experiment with a shuttle service started in the summer of 2015. It got a lot of publicity but very little use. 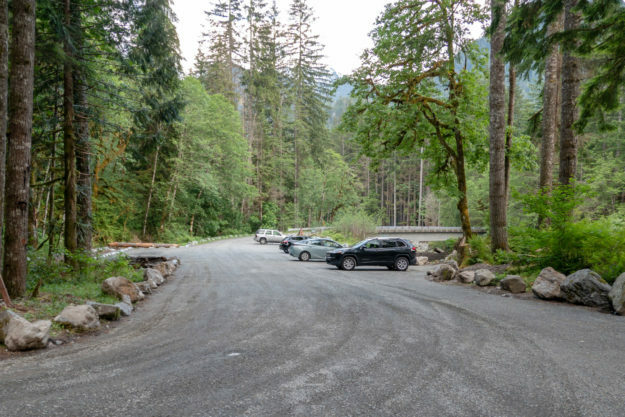 Ultimately a shuttle service will be needed for both the Mount Si and Middle Fork areas because there will not be enough parking for the anticipated demand. 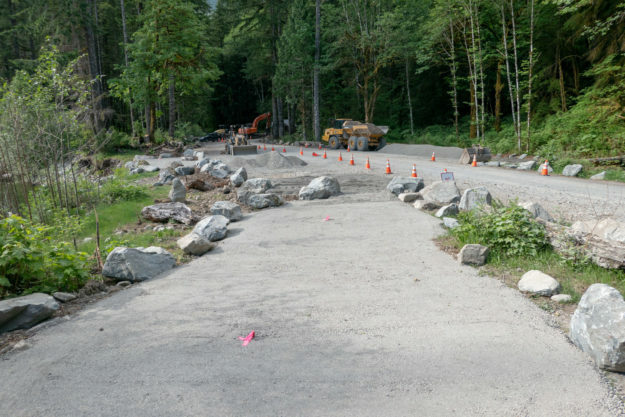 The Middle Fork paving project actually reduces the number of possible parking places because the road is being raised to improve drainage and this results in steep shoulders. 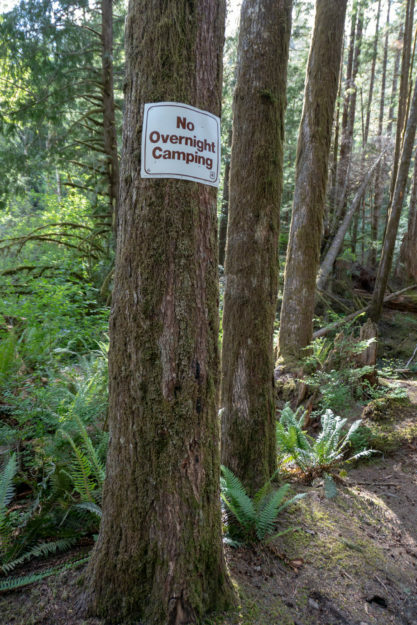 Avoid building new trails beyond those that currently exist in the Mount Si NRCA and encourage use of trails in other nearby areas with better access. Consider electronic surveillance to help safety and law enforcement. 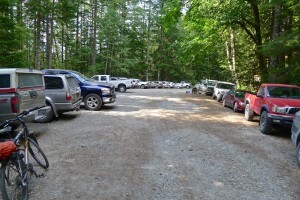 Automatically monitoring how full the lots are and making the information available online could direct hikers to less busy areas. 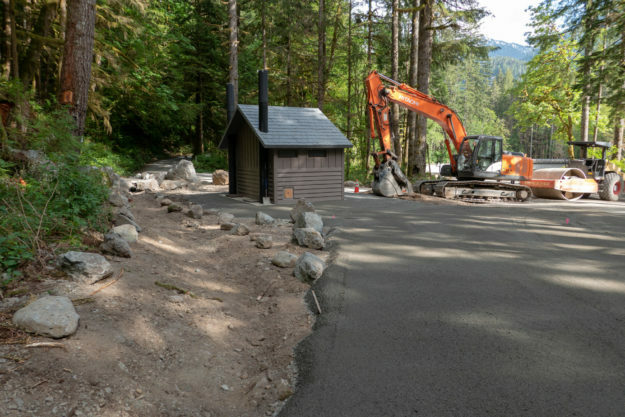 Work on the Teneriffe trailhead and other Snoqualmie Corridor facilities is being funded by a $100,000 grant – RCO 14-1841 Snoqualmie Corridor Facilities Design. 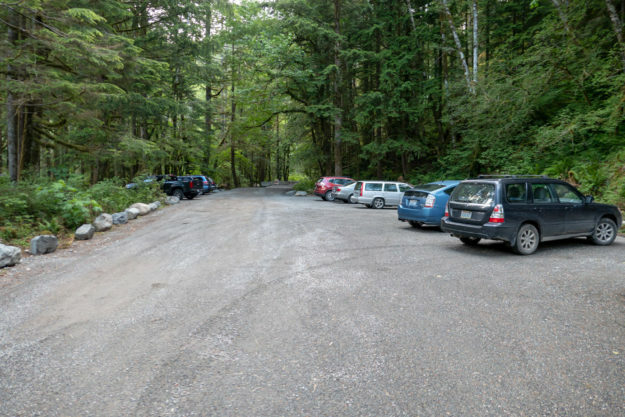 The initial thinking when applying for the grant was to build a new parking lot uphill from the school bus turn around where hikers currently park. 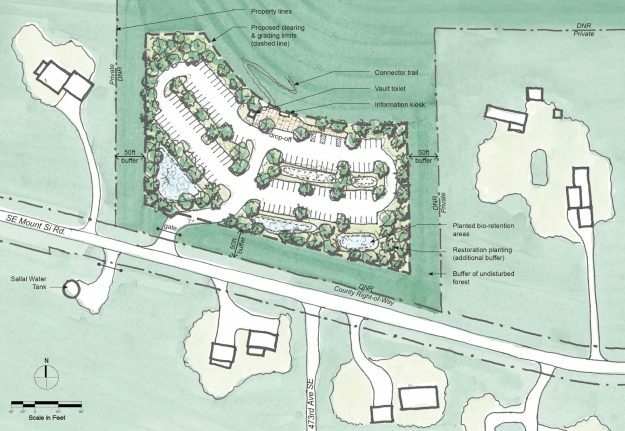 An early trailhead concept from the grant application showed a multi-loop parking lot uphill from the school bus turn around, near the water tower. 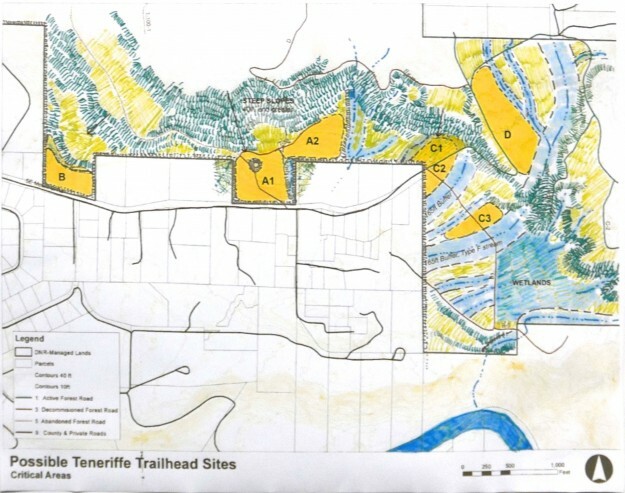 Work done as part of the grant evaluated the possible trailhead locations more carefully and the preferred site shifted to area B shown below. 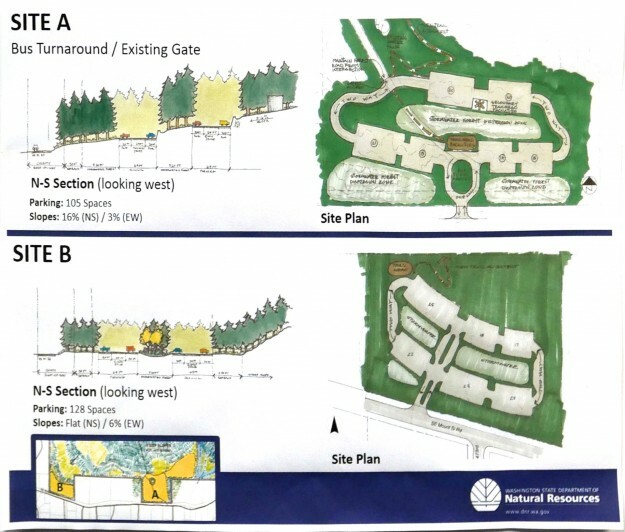 The DNR staff stressed that these are still concept drawings. 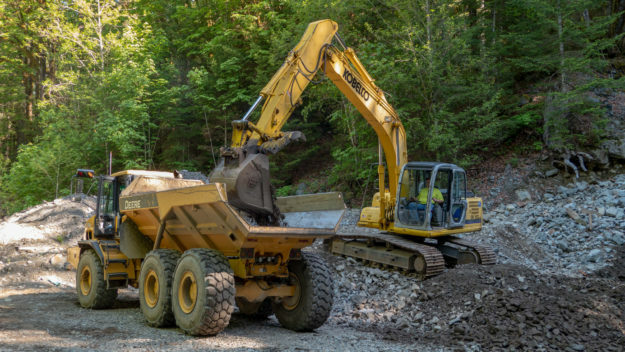 Actual plans require significantly more study to evaluate wildlife, drainage, traffic and other impacts. 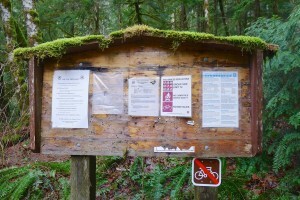 Locations evaluated for a new trailhead. 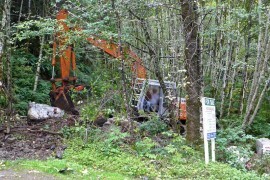 Relatively flat ground and distance from streams and wetlands are advantageous which made the C and D sites unworkable. 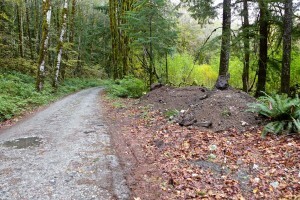 A comparison of the two most likely sites. 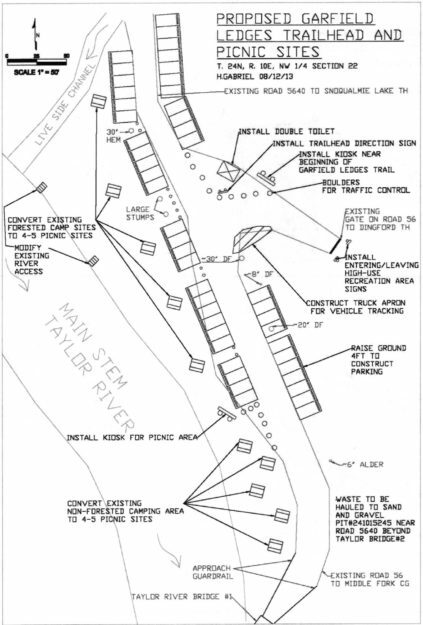 Site A was initially favored but turned out to have steeper slopes and more difficult drainage problems than site B, the current front runner. 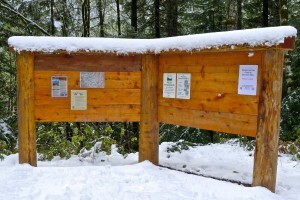 This entry was posted in North Bend, Si and tagged DNR, new trail, parking, peakTeneriffe, road, trailhead on 2016/01/26 by mvanderbilt. 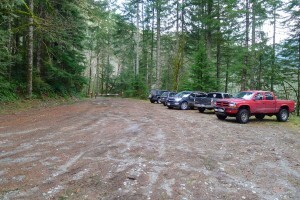 Trailhead parking for Mailbox Peak has been a problem ever since the hike started appearing in guidebooks in ~2007 and it’s popularity started rising. 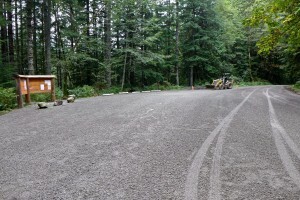 The DNR built a new parking lot off the road in 2013, but it’s not scheduled to open regularly until the new Mailbox Peak trail is completed in 2014. 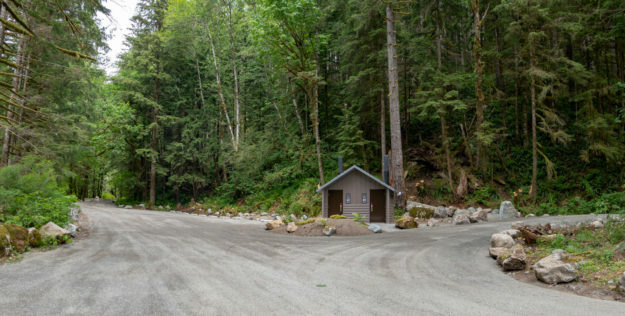 For many years hikers parked in the pullout on the north side of the road, and in the small loop in front of the gate leading to the trail itself. 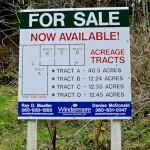 But some trouble started in 2011 when for sale signs appeared for property on either side of the road. 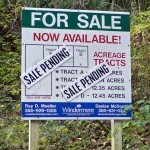 Nothing changed for a year and a half until the property was nearly sold and “Sale Pending” placards appeared. But something clearly went south because the property was not sold and a year later four large concrete blocks were placed in the pullout parking area with messages making it very clear that parking was forbidden. 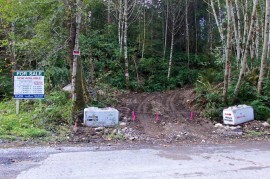 In the next couple weeks an access road to the parcels on the south side was cleared and more concrete blocks showed up. 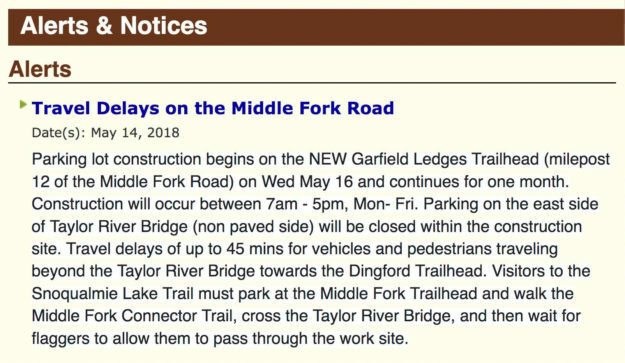 This site does not cover private property issues other than transfers to public status, so no attempt will be made to explain this sequence of events. 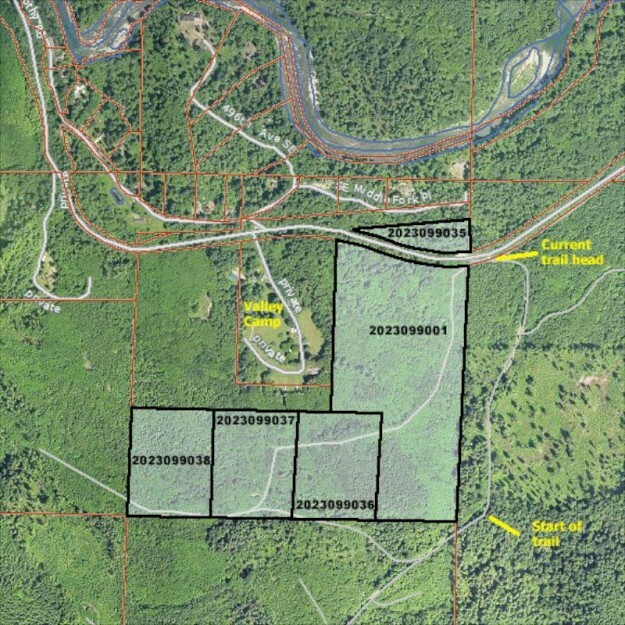 However, as of February, 2014 the DNR seems to be negotiating to purchase these properties to prevent development from creeping farther up the valley. 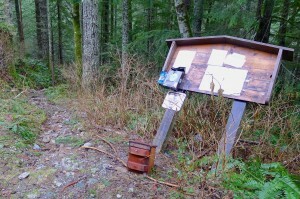 This entry was posted in Mailbox, Middle Fork Road and tagged DNR, parking, peakMailbox, trailhead on 2013/08/31 by mvanderbilt.